This super tough roller adds to the challenge a Board Rock or Skate Board Deck and is removable to accomodate all user levels. What is the difference between PVC and polypropylene? There are significant intrinsic differences between polyvinyl chloride (PVC) and polypropylene (PP). Polypropylene is one of the most neutral plastics, containing only two elements: carbon (C) and hydrogen (H). 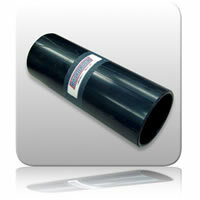 PVC by comparison contains about 30% by weight, of the element Chlorine (Cl) in its basic structure.